As the accounts of Saint Bartholomew are 2000 years old, some discrepancies are bound to be found. In Western Catholicism, August 24 is St. Bartholomew’s feast day, thought to be the day the saint was martyred. According to one tradition, he was ordered to be executed by the King of Armenia’s brother after St. Bartholomew converted the king to Christianity. The method of execution varies as well, from being beaten and drowned, to crucified upside down, to the most popular in artistic renderings: flayed alive and beheaded. 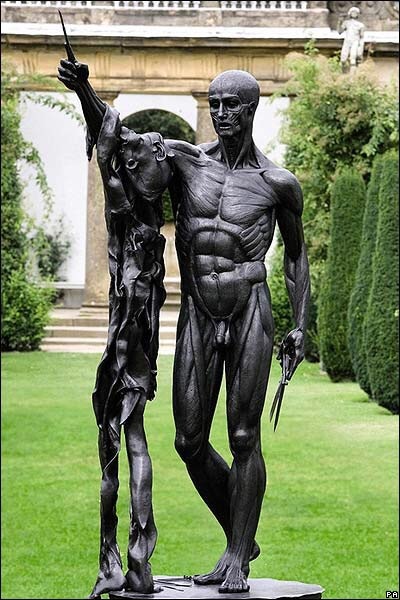 The emotional and visual impact of the latter execution method is a prime reason it was chosen to be represented in the arts as often as it has, from statues such as Saint Bartholomew, Exquisite Pain by Damien Hirst with St. Bartholomew carrying his own skin draped over his arm, Michelangelo’s The Last Judgement. 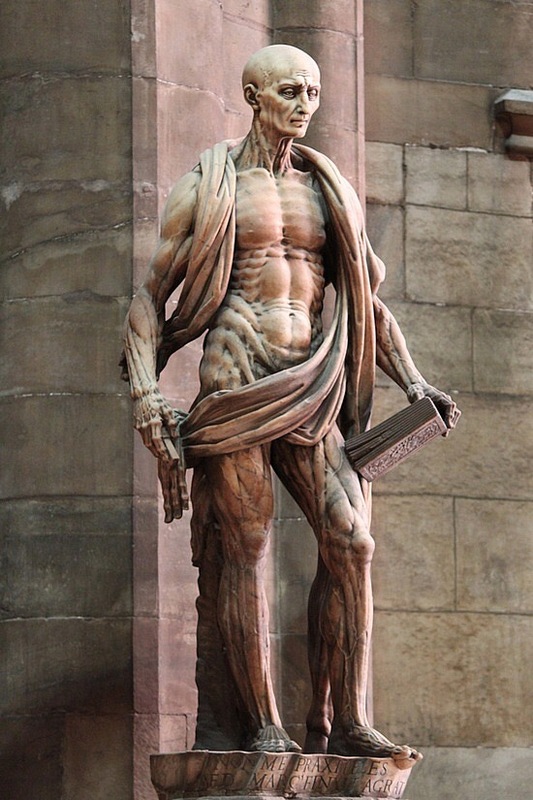 Saint Bartholomew is the patron Saint of, among others, leather workers, butchers, and Florentine cheese and salt merchants.